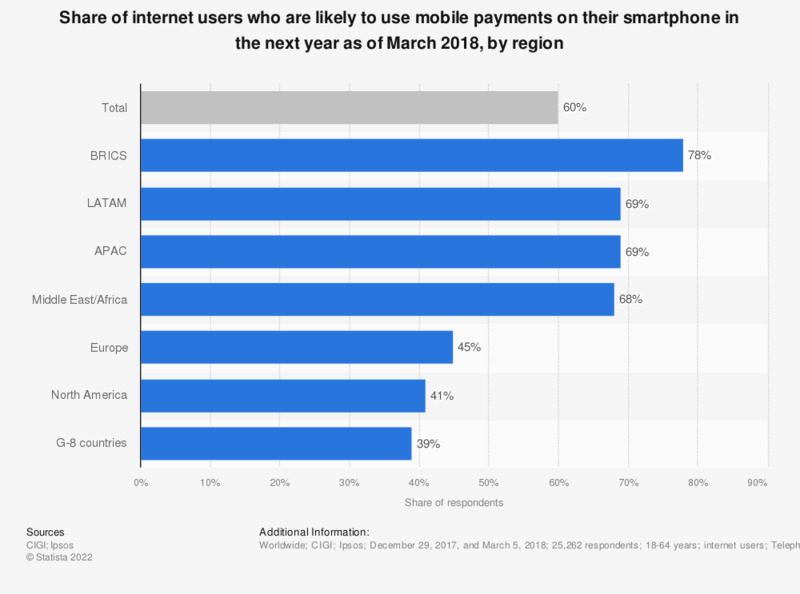 This statistic presents the share of internet users in selected global regions who are likely to use mobile payment systems on their smartphone in the next year. As of the March 2018 survey period, 78 percent of respondents from BRICS countries stated that they were very or somewhat likely to use mobile payments in the next year. Q14. How likely are you to use mobile payment systems on your smartphone in the next year?